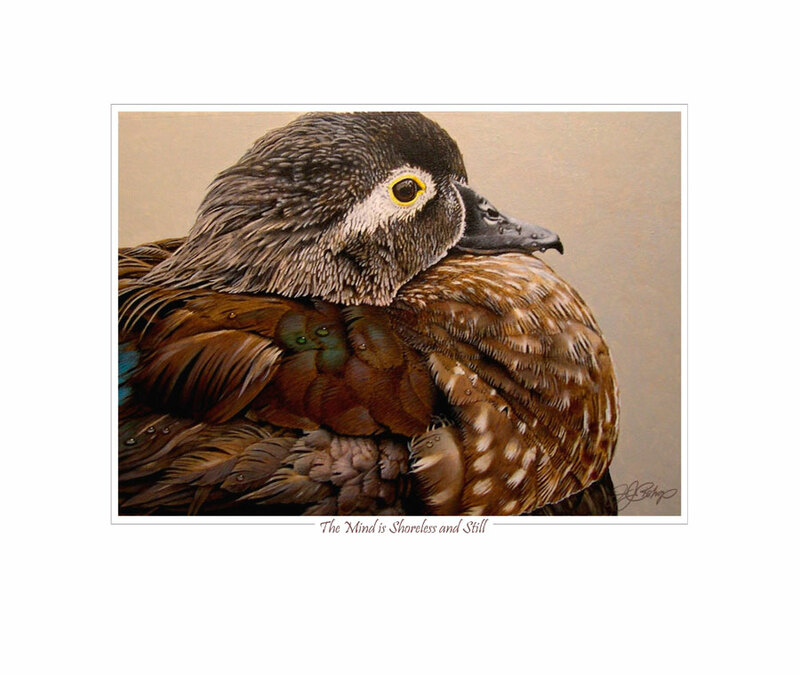 Originally this piece was done as an entry for the 2010 Federal Duck Stamp contest, although it never was entered, because I regrettably mistook the mailing deadline for a later date. 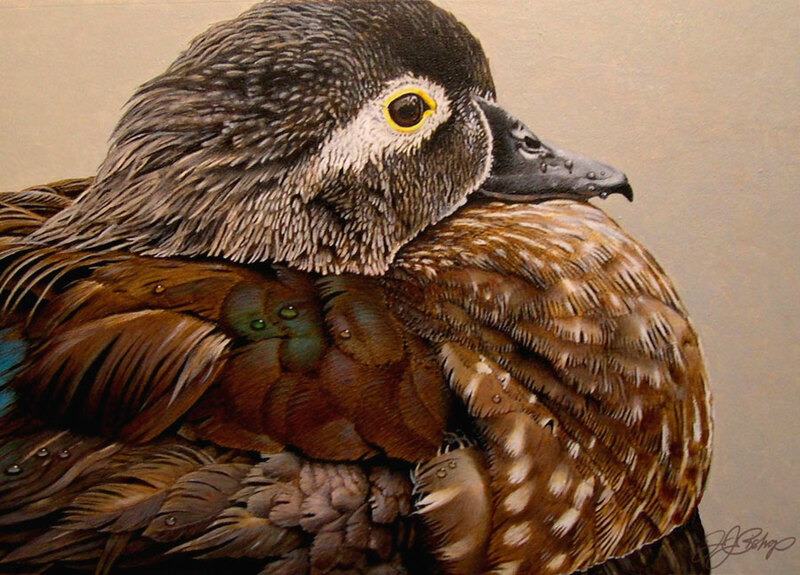 As with all “Federal Duck Stamp entries, they are restricted to a given size (7’ x 10”) and you’re allowed to select from 5 species that are selected for that year. 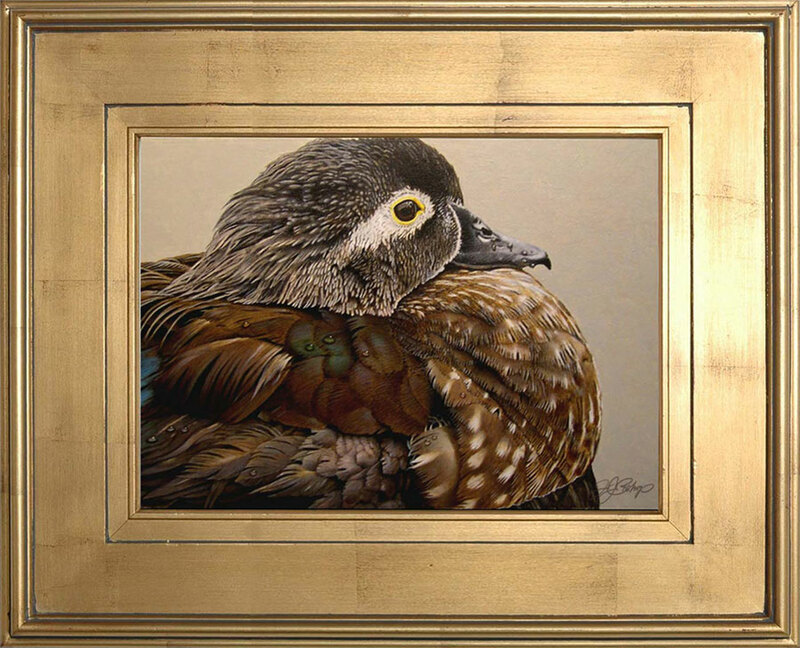 I, as with most of the paintings featured on my web site, used 1/8” masonite, prepared with several smooth coats of gesso for my painting surface, some will use flat white paint for this process, I just prefer gesso. Whatever the case, I try to keep the surface as smooth as possible by sanding the dried gesso with a very fine sand, or emery paper so that there will be no interference with the details within the painting.